JEFFERSON CITY – Make plans now for a successful Lottie Moon Christmas Offering (LMCO), themed this year, “Every Church. Every Nation.” The Missouri Woman’s Missionary Union (MWMU) is ready to walk alongside your church with a variety of resources and creative ideas. 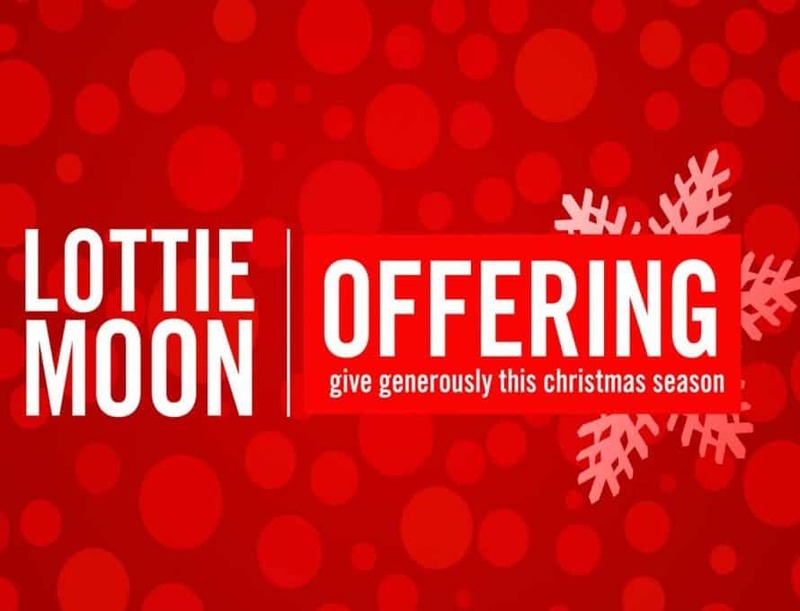 Since its inception in 1888, the Lottie Moon Christmas Offering has enjoyed steady growth. Missouri’s goal this year is $4 million. Laura Wells, MWMU Executive Director, urges churches to do their financial part again, which will assist the International Mission Board (IMB) in making disciples and multiplying churches for the glory of God. A sample of the envelope, prayer guide and poster has already been mailed to churches by the Missouri Baptist Convention, and a DVD has been sent directly to churches from the IMB. Churches can order the free quantities they need of the envelope, prayer guide and poster at www.mobaptist.org/wmu/lottie, or contact Wells. IMB recommends that churches assign a leader or a mission team to the Offering. A leader’s guide, as well as many other resources, is available at www.imb.org/lottie-moon-christmas-offering-leader-guide. In this guide are suggestions on how to prepare, share and participate in LMCO. Churches will learn how to set a goal, and how to create an impactful experience for their congregation that engages the entire church body, from children to adults. They will also learn about implementng the Week of Prayer, which is Dec. 3-10. Wells said that it may be helpful for congregations to think of giving in terms of real dollar examples. Consider setting a goal based on the average cost of supporting a missionary: $58,200 a year; $4,850 a month; $1,119 a week; and $159 a day. It is with church partnership that IMB is able to send missionaries so the gospel will resound throughout the world. The LMCO is a vital part of this work with 100% of the money collected going to sending and sustaining missionaries. Churches can also visit mobaptist.org/wmu/lottie to access resources or to contact Wells.